HIM is 10 years old! Here’s your chance to party with HIM! From our grassroots beginnings in 2008, HIM has engaged with our community to deliver innovative programs that fulfill our mission of “strengthening the health and well-being of gay men.” Now ten years old, HIM wants to celebrate our first decade of achievement – not only to showcase and honour the large number of volunteers and benefactors that already contribute to our success – but to also invite others to support HIM as we progress and plan ahead for our future. 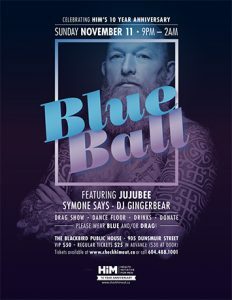 HIM’s inaugural Blue Ball will be an exciting, fun-filled evening headlined by the talented and fan-favourite drag performer from RuPaul’s Drag Race, Jujubee, with additional performances by Vancouver’s First Lady of Glam, Symone Says, dance tunes from the past decade to today with DJ Gingerbear spinning, silent auction and prizes! 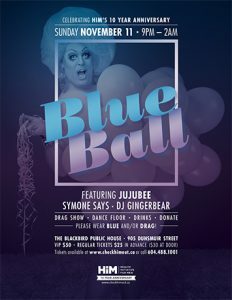 Come dressed up in your best blues, drag, or better yet, blue drag! VIP attendees will kick-start the event an hour earlier by enjoying our private chill lounge with tunes by DJ Mumbles, some appetizing tasty bites, a welcome beverage, private viewing of silent auction items, and an exclusive meet-and-greet with the fabulous Jujubee! VIP tickets are limited, so get your tickets early! 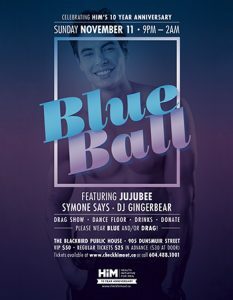 HIM would like to thank our donors and sponsors who have generously committed to making our event as a success, and without whom we wouldn’t be able to continue to offer our expanded health programming: Gastown Massage Therapy, Body Energy Club, Gilead Canada Inc., Pumpjack Pub, and Junction Pub. Proceeds from this event will help expand HIM’s mental health programming. 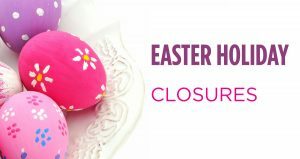 Online Ticket Sales are now Closed. Some tickets are still available at the door. Or for cash purchases, please visit the HIM office during regular business hours. 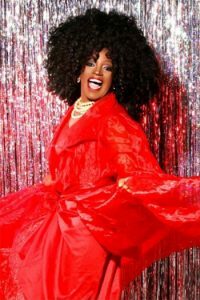 Come dance, celebrate, rejoice and just be fabulously blue with HIM!